Some folks say that Christmas is the most wonderful time of the year. I would say it’s actually Advent, the season of anticipation leading up to Christmas, that’s the most wonderful time of the year. I grew up Presbyterian (PCUSA) and always loved observing Advent– lighting candles on our wreath, doing devotionals from our church, and especially the big church Advent Celebration where we’d have a fellowship meal and then go around making different Christmas crafts and games. We always drew the name of one other attendee to make a gift for during the evening, giving it to elves to be delivered to the recipient. Our favorite was always the room where white chocolate pretzels were made. 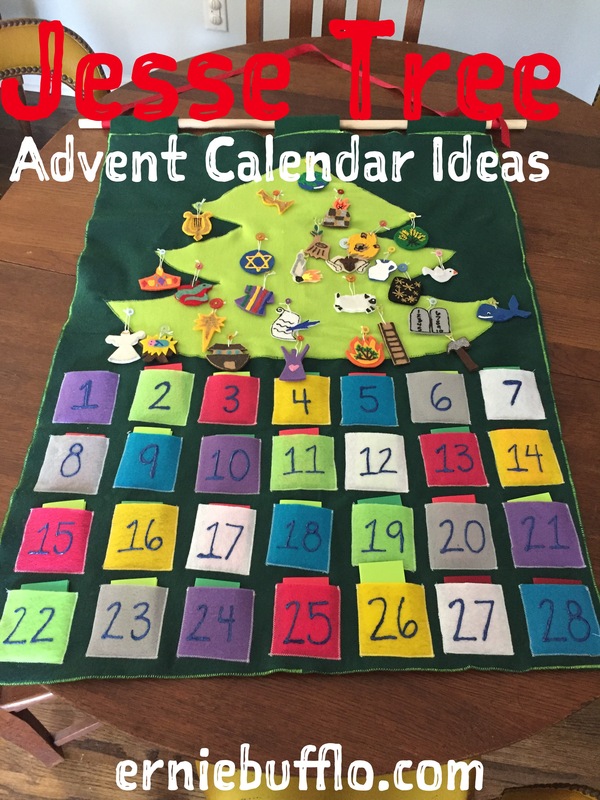 Last year, I posted about finally (two years after I had intended to) finishing our felt Jesse Tree Advent Calendar and offered ideas about creating your own. 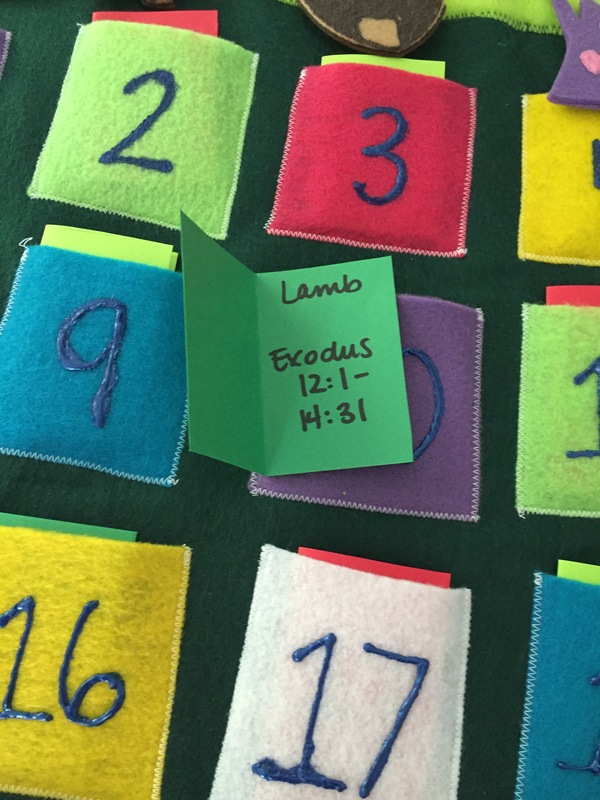 I love that the Jesse Tree Advent Calendar corresponds to Bible stories about Jesus’ family tree, and each night as a family, we hang up an ornament and read a Bible story from our Jesus Storybook Bible. As last year was our first year using the calendar, and I finished it just under the wire, I didn’t have time to make sure there was a corresponding story for each ornament in the JSB. As we went through, I discovered that some of the ornaments didn’t have a story in the JSB, and I also learned that attempting to read out of a regular Bible to small children is difficult and boring for the. This year I thought ahead and pulled out the calendar early. I discovered that Ruth and Naomi, Esther, Jacob’s Ladder, Mary Visiting Elizabeth, and Gideon were all missing from the JSB. In some cases, like Ruth and Naomi and Gideon, I wrote paraphrase stories to read to my kids, printing them off and tucking them into the JSB. In other cases, I swapped out the ornament to better reflect the story that is in the JSB, like getting rid of Jacob’s ladder and making an ornament of 3 wedding rings, since the ladder story isn’t in the JSB, but Jacob’s marriage to Leah and Rachel is. I also ordered a kids’ storybook about Esther to tell her story. 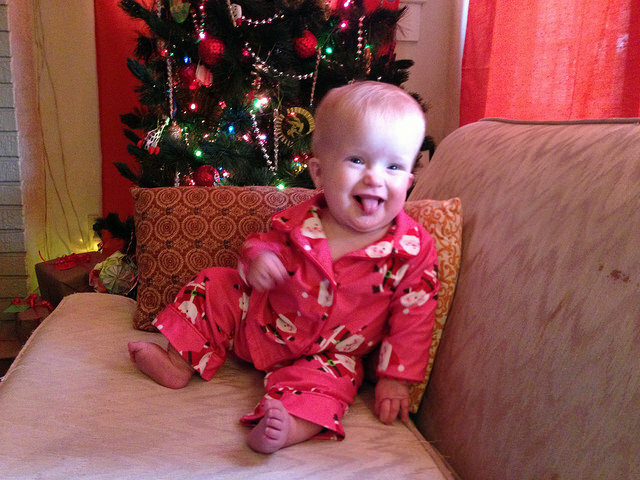 Any parent of small children can tell you: stuff usually does not go according to plan. You either learn to live with this, become flexible, and go with the flow, or you spend a lot of time frustrated that life never just GOES RIGHT. Someone will always poop their pants on the day you forgot to pack a spare outfit, but never on the days that you did, you know? But in the same vein of my “it gets better” post, I think it’s important to notice when things actually do go really really right. It may not happen often, but I promise, it does happen just often enough that if you take time to notice, outweighs so much of the “STUFF NEVER GOES RIGHT” frustration. Last night we had one such perfect night, and after we got the kids to bed and fixed our ritual fancy drink, my husband and I clinked our glasses and remarked on what a great night we’d had. It started when both kids actually took good naps, so we were primed and happy as we set out. We met up with some friends with a son our girls’ age at a local pizza place, and everyone sat in their chairs and happily ate their food, which was served promptly, and no one spilled any drinks or threw any fits. The kids entertained each other with silly antics and enjoyed sprinkling their own cheese on their own pizza, and we got to chat with some actual grownups, too. Then we walked up the street a couple of blocks to the fanciest hotel in town, The Capital Hotel, for their annual Christmas tree lighting. The Capital does it up right– there was even a man literally roasting chestnuts on an open fire right outside the front door. The girls were given jingle bells on red ribbons as we walked in. We each had a tiny glass of egg nog. There were Nutcracker ballerinas wandering around, and my two little ballet dancers stared at them in awe. “Ballerinas LIKE ME!” Etta exclaimed. Claire got one look at the giant tree in the center of the lobby and declared: “It’s ENORMOUS!” Each girl got one perfectly iced sugar cookie, and Etta chose “a star LIKE ME!” while Claire went for a red and white candy cane. The girls led us up the grand staircase to the upper balcony, which turned out to be a perfect spot from which to watch the tree light up, and left us perfectly positioned to be third in line to see a wonderful, real-bearded Santa when he assumed his perch on a reserved velvet sofa nearby. Third in line is ideal, it turns out, because the kids can see other kids greeting Santa and surviving, and you have just enough time to rehearse what you’re going to tell him you want. (Claire, a jack in the box; Etta, an umbrella, a typewriter, a music box, and a vacuum cleaner. I have no idea where my kids got such retro wishes, either.) A friend happened to be nearby just in time, so we even got a lovely picture of all four of us with the Jolly Old Elf, who gave each kid a jumbo candy cane, and then we headed toward the door. We arrived home and they gave up their largely unfinished candy canes without a fight (shocker), got into jammies with Etta only vetoing two pairs before settling on one, and did our nightly Jesse Tree reading before stories and bedtime, which also went smoothly. By the time I was mixing us up some cranberry rosemary Moscow mules (recipe soon, I promise), I was basically high on visions of sugar plums. I know how rare a night like that is at this stage of parenting. I’ve been through enough of the opposite to know I should be thankful. If this one perfect evening with family and friends is the closest thing we get to a Christmas miracle this season, I will count myself lucky. I’m the first to gripe about “Christmas Creep” and how people keep trying to make Christmas happen before its time, which, in my opinion, should absolutely never be before the day after Thanksgiving. (Mostly because Thanksgiving is one of my favorites.) However, I spent the last week obsessively working on finishing the Advent calendar I started making for the girls in 2013. It was a bit more than I could achieve when the girls were one, but now that they’re three, not only do I have more time to craft, I really think they’ll enjoy incorporating this tradition and get something out of it. And I’m writing about it now because if you start soon, you’ve got time to make one before Advent starts, too. But not if you have two one-year-olds — take it from me and take it easy on yourself. Celebrating Advent has always been part of my family and faith tradition, a way to focus on the “reason for the season” as my dad loves to say. Growing up we had an Advent wreath and candles, and I remember doing family devotionals sent home by our church. 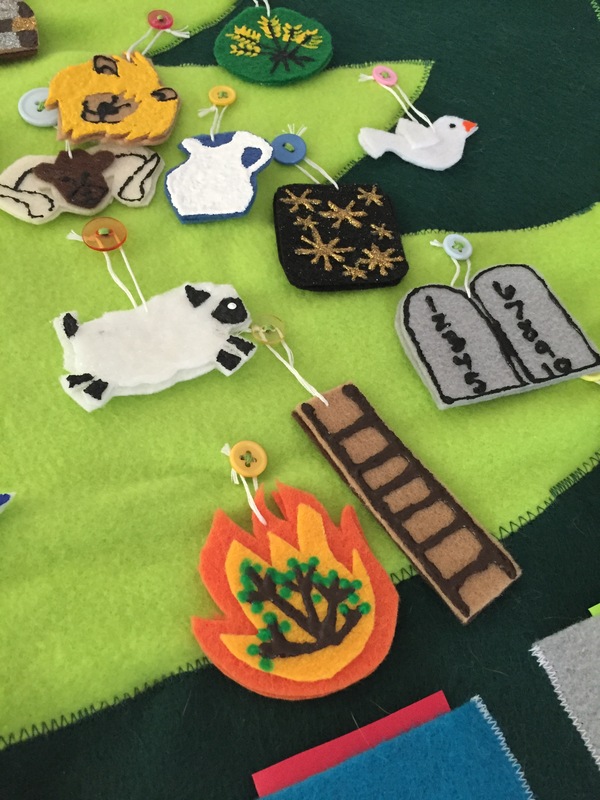 Through friends, I heard about the Jesse Tree tradition, which uses the whole “out of the stump of Jesse” prophecy from Isaiah to tell the story of Jesus’s family tree through ornaments and a tree. Each ornament corresponds to a Bible Story about one of the members of Jesus’ family tree, so each day leading up to Christmas, you take out an ornament and read the corresponding scripture. One friend even hosted a Jesse Tree ornament party a few years back, where everybody was assigned one ornament and made enough for everyone, so each guest left with a complete set but only had to make one type of ornament — fun and efficient! Lots of people put the ornaments on their actual Christmas tree or on a smaller table-top tree that they use just for the Jesse Tree. 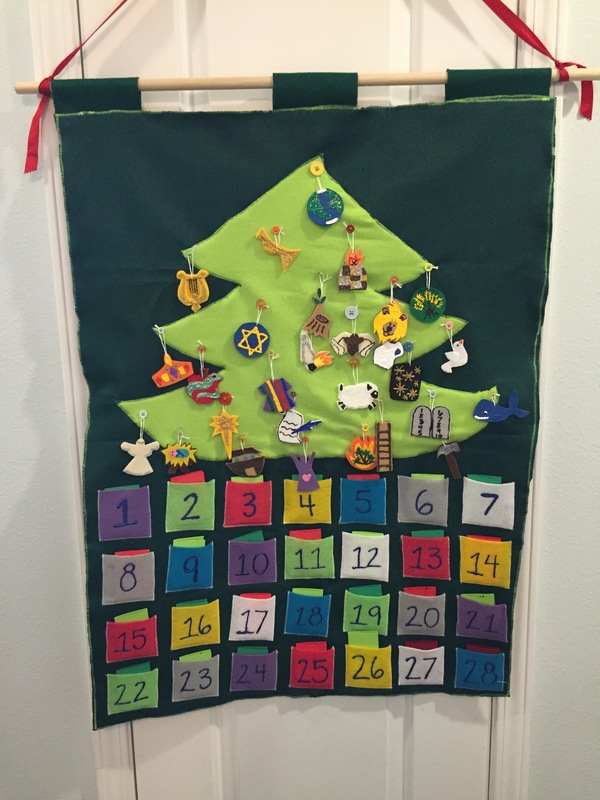 I had seen many beautiful felt and fabric Advent calendars, so that’s what I had in mind. I love the idea of making a normal Advent calendar slightly more scriptural, so I started looking for Jesse Tree Advent calendars. I wanted to make something that my family could use for years to come and remember fondly, so I bought a kit from an Etsy seller that included patterns, instructions, and all the supplies. My kit was $60, but it looks like my seller is no longer selling the kits, just fully handmade calendars for $390. While I love my kit, I can’t imagine having paid nearly 400 bucks for a completed calendar, though I know that it’s worth that with all the painstaking work that goes into it. 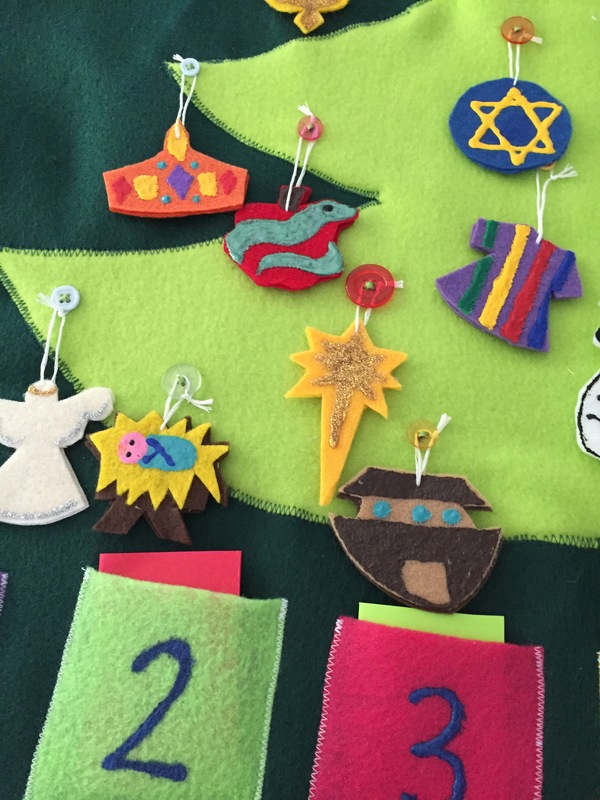 So painstaking, in fact, that I modified my calendar– I used puffy paint on the felt to make the ornaments instead of hand-sewing tiny layers and appliques, and I machine-sewed the body of the calendar. I have come to accept that I am just not a fan of embroidering. It’s beautiful, but tedious and frustrating. Still, I didn’t want to write about finishing this beautiful thing for my family and then be like, sorry, folks, good luck to ya. I found a few felt Advent calendar patterns that I think you could fairly easily adapt into Jesse Trees by swapping out the ornaments, either by making these felt ornaments, by trying one of these other kits, or by buying a set of already–made Jesse Tree ornaments. There are also lots of free tutorials for making felt Jesse Tree ornaments online. 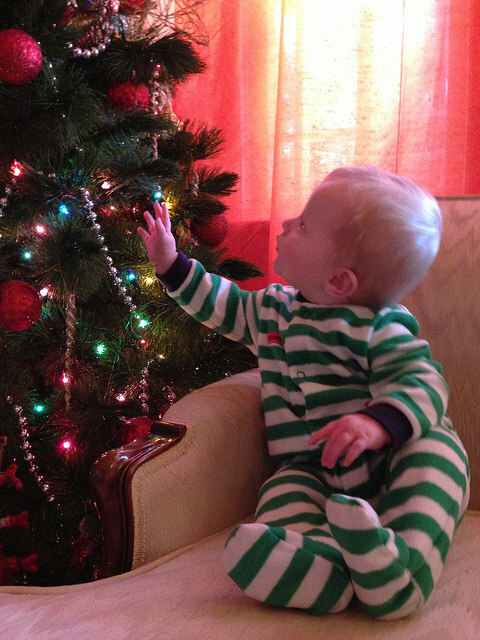 Is a Jesse tree part of your holiday tradition? Do you celebrate Advent in other ways? 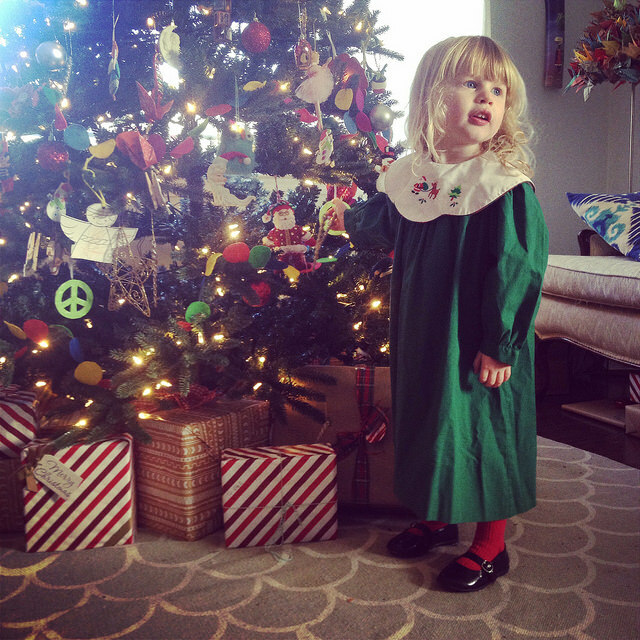 I know I’ve been singing the praises of toddlers a lot lately, but I gotta say, this was our best Christmas with our girls, yet. It’s the first one where they sort of knew something special was going on, and their joy and wonder have been a joy to behold. 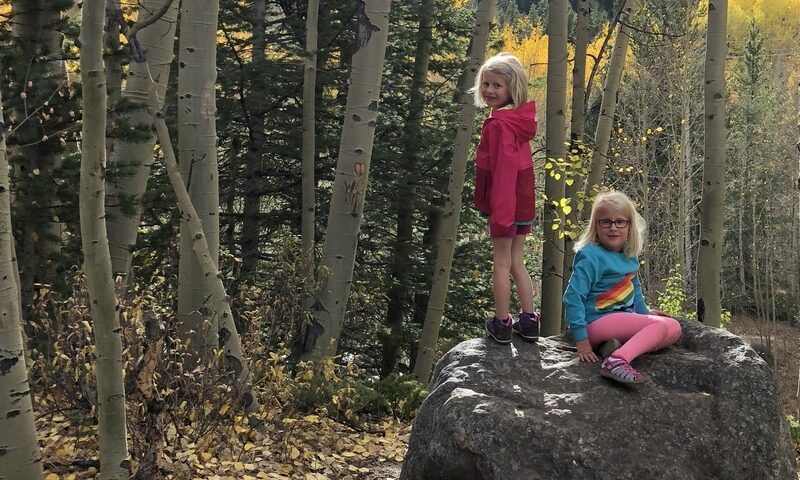 I think their favorite part of the whole season has been “kiss-mas wights,” and they love driving around, pointing out light displays according to whose side of the car they’re on– “ETTA SIDE! BEAR BEAR SIDE!” They also love turning on our Christmas tree and, though I worried they would constantly be messing with the ornaments, they actually play with them very sweetly and usually put them back– the lower 1/4 of our tree has seen a lot of rearranging. Thanksgiving is upon us and the holiday season is officially underway. 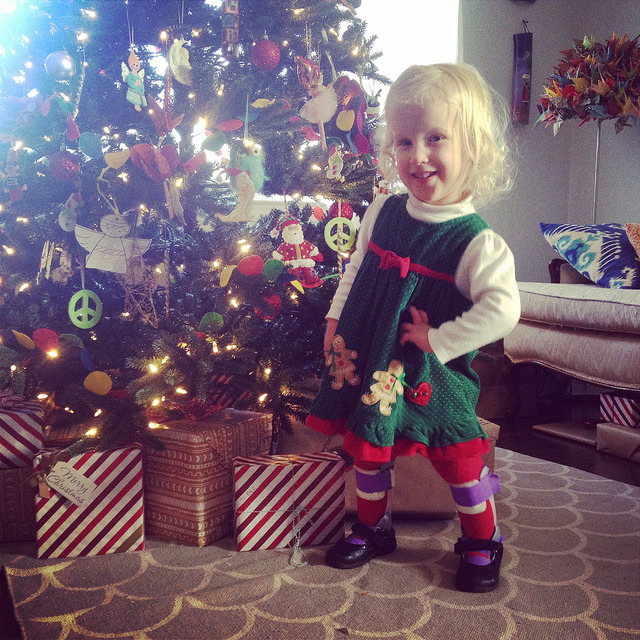 I thought I’d share what Etta and Claire are getting/wishing for/into this holiday season to help out any of you who might be shopping for toddlers/preschoolers this time of year. Last year their toys mostly focused on kitchen and food play, baby dolls, and bath toys, and you can check out that gift guide if you’re shopping for younger toddlers in the one to two year old range. Much of it is stuff they still love, and would make excellent gifts for any toddlers in your life. This guide is probably most suitable for ages 2 and up. One category of play they are really starting to be into is dress-up and pretend play. We have bought and stashed some clearance Halloween costumes, and they have received some wings and hand me down hats, and capes and tutus remain very popular. Their big gift this year will likely be a small wardrobe to hold all the dress up items for easy kid access. Other categories of toys to consider when shopping for toddlers: books, bath toys, and art/craft supplies. A pack of washable crayons and a jumbo coloring book will definitely appear in both girls’ Christmas stockings, and I’m thinking maybe some bath tub paints or something will be fun too and solve my problem of hating to paint with them because it’s such a giant mess. 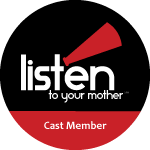 Note: this post is not sponsored and these are not affiliate links. Everything in this post is something I either have bought or am considering buying for my kids.